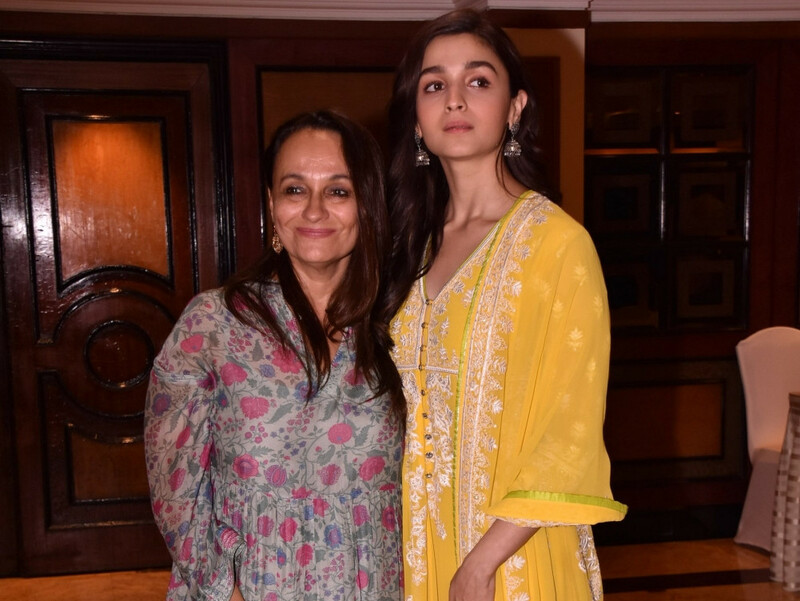 Actress Alia Bhatt’s mother Soni Razdan, who is a veteran actress, says she does not like to talk about her daughter’s personal life in public. “Look, it is sweet of all their fans to ask about everything but I am Alia’s mother. I really do not want to talk about my daughter’s personal life. I want her to be happy. And she has my love and blessing on everything she does. Beyond that I want her to live her life the way she wants,” Razdan said when asked about how she deals with the media’s questions about Bhatt’s relationship with actor Ranbir Kapoor. “As a mother, I do not give her any ‘gyaan’ [advice] because my Alia is very sensible as an individual,” she said while promoting her upcoming film ‘No Fathers in Kashmir’. Bhatt and Kapoor made their relationship public last year during the wedding reception of actress Sonam Kapoor Ahuja. Last week, Bhatt, while receiving the Best Actress Award at an award ceremony, openly expressed her love for Kapoor on stage. On the topic of marriage, Razdan had a word of caution for her daughter.